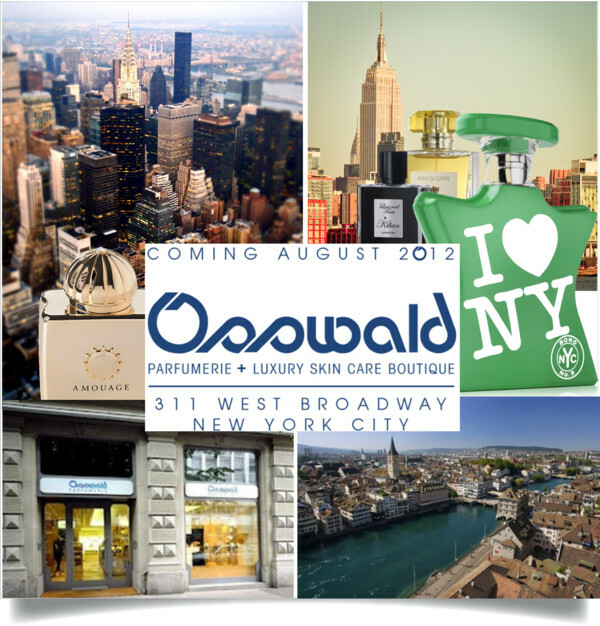 Family owned and operated for over ninety years in Zurich, Osswald will officially open its doors in the heart of SoHo, New York City in August 2012. Highly regarded in Europe for their carefully curated array of niche perfumes, luxury skincare and exceptional customer service, Osswald is pleased to bring their time-honoured values and standards to the US for the first time. Since 1921, generations of the Dreiding family have been continuously progressing the Osswald Parfumerie in Zurich. It began with founder Boris Dreiding, who was then succeeded by his son Jago Dreiding, Jago was followed by his wife Tamara who took the helm in the late eighties. 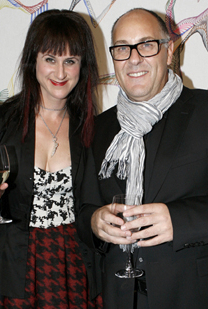 With Tamara’s direction and the help of store manager Werner Abt, Osswald entered the niche perfume and luxury skincare market. In 2005 she asked her daughter Tanja Dreiding Wallace, who had been living in New York City for over 8 years at the time, to return to Zurich and manage the company’s future growth. Tanja found herself becoming fiercely passionate about the brand’s international plans. She took pride in staffing the Zürich flagship with the most knowledgeable professionals in the beauty care business. Within a few years, Osswald became one of Europe’s leading niche parfumerie and skincare boutiques known for its superior customer service. For the American debut, Osswald will exclusively launch and sell coveted Swiss skincare brands Bellefontaine, Cell Premium, and La Colline as well as established brands Cellcosmet and Valmont. Each brand is on the cutting edge of skincare, using advanced technologies including the use of stem cells. This is an amazing magical product that will be launched in September 2012: Time Master Intensive Program by Valmont. The Swiss brand with over 25 years of experience calls itself the magician of time and is renowned for its spa treatments. Now, a professional unique intensive program will be available to be used at home. A combination of technology, efficiency and precision, this nano-emulsion is so delicate that it penetrates the skin in a split second and treats all the causes for aging. Within 28 days, Time Master Instensive Program regulates the cellular mechanisms of the skin and turns back the clock. The 4-week treatment will be available for CHF 1235.-/ € 950.-. Sought after perfumes including Pierre Guillaume’s Parfumerie Générale and Profumum Roma will only be available at the Osswald New York location, as well as Maison Francis Kurkdjian, Clive Christian, MDCI, Kilian, Micallef, Amouage, Pierre Guillaume’s Huitième Art and Six Scents amongst others. If you get a chance, please explore the fragrance world of Pierre Guillaume: Parfumerie Générale and Huitième Art, a niche collection of 8 fragrances launched for the brand’s 8th anniversary in 2010 – synonymous with perfume being the 8th art. His creations are a must for anyone who loves perfume. I met the perfumer once at an event held at Osswald in Zurich and was truly impressed by his passion. He is young, brilliant, intellectual and very handsome. My favourite – among many of his scents I like – is PG19 Louanges Profanes, an oriental floral, that is fresh and soft in one. 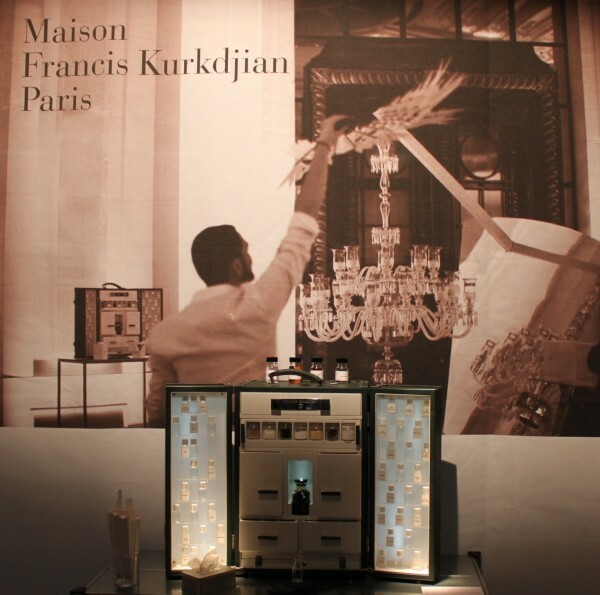 Maison Francis Kurkdjian offers bespoke scents. Ask the Osswald team for more information. So sophisticated! Other offerings will include By Terry makeup, scented candles, exquisite bathroom accessories and mirrors, manicure etuis, shaving kits, toiletry bags and other beautiful items in the luxury lifestyle sector.